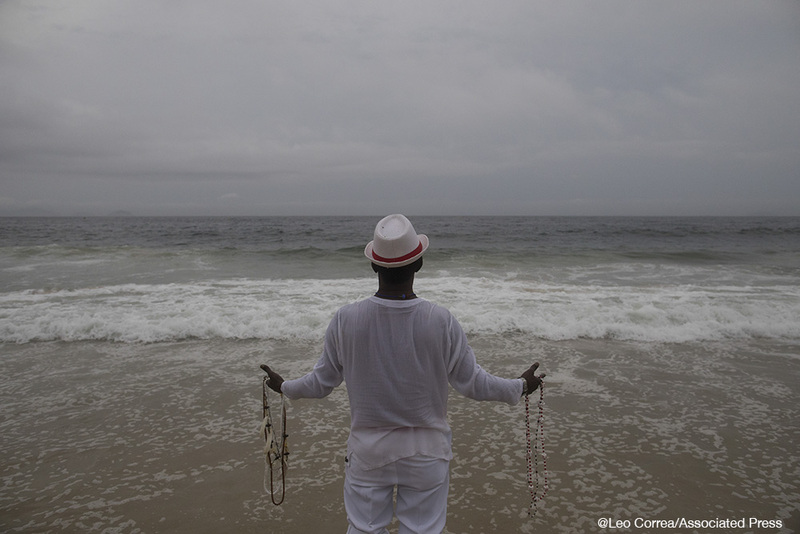 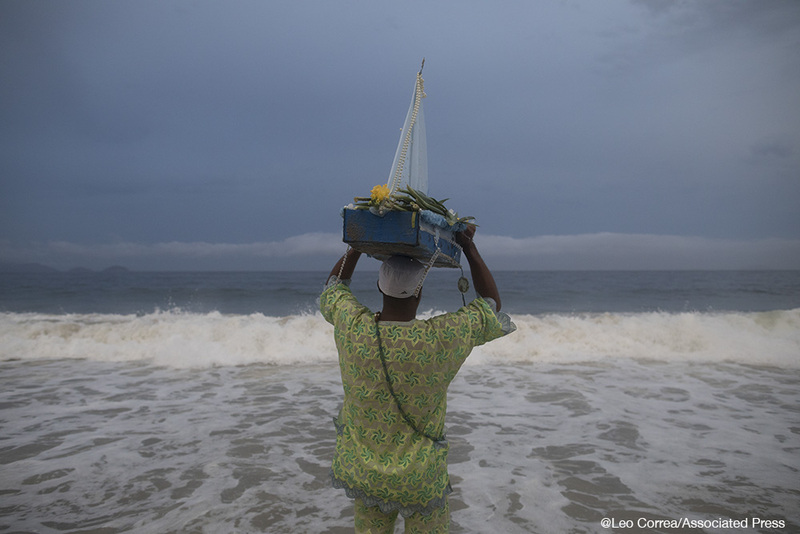 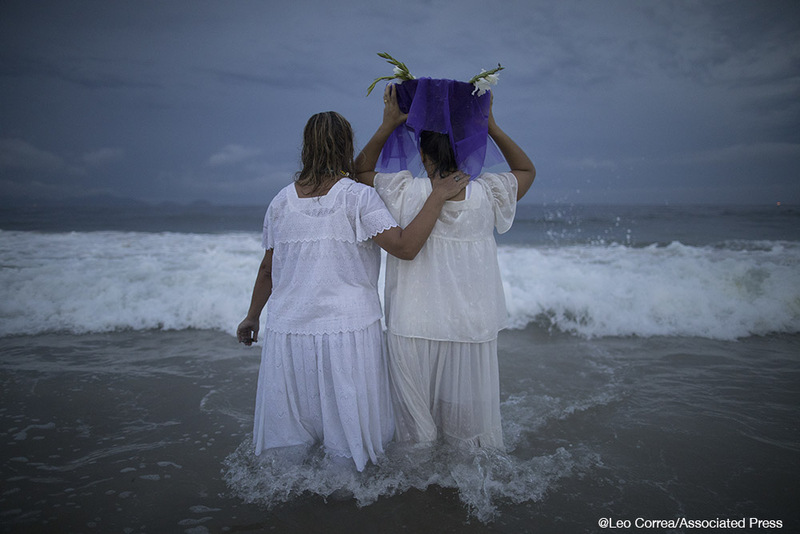 As the 2017 was coming to an end hundreds of practitioners of Brazil’s Afro-Brazilian Candomble and Umbanda faiths have gathered at Rio de Janeiro’s Copacabana beach to honor the sea goddess Yemanja in a traditional New Year tribute asking for good luck and prosperity in the next year. 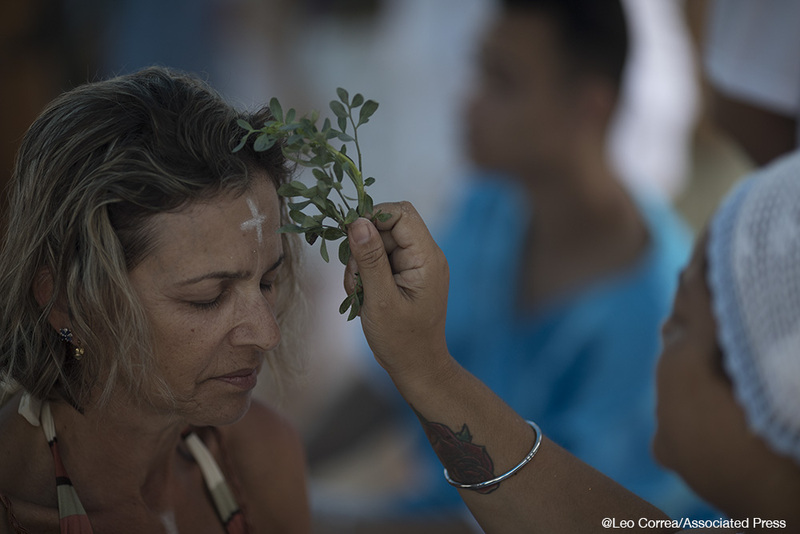 Worshippers were mostly dressed in white as they launched their offerings to Yemanja: small boats with flowers and bowls with candles and fruits. 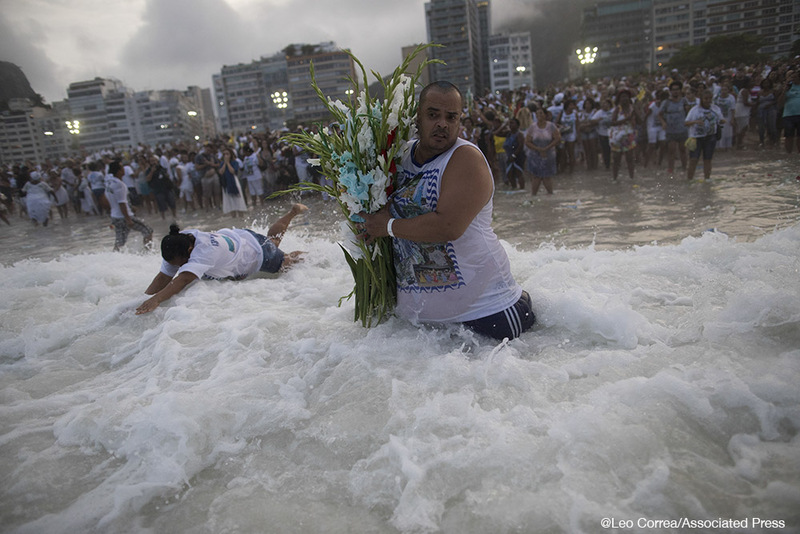 Night-long music and dancing follow the offerings. 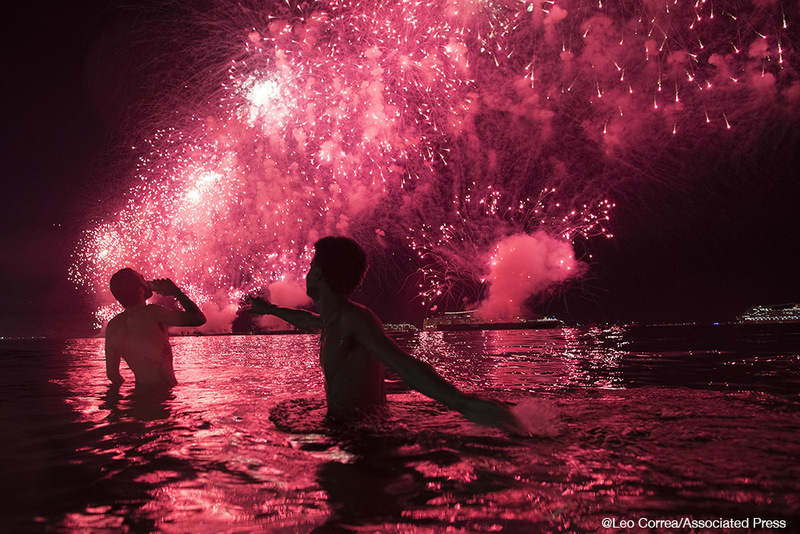 Couple days after, for the arriving of 2018, the main New Year’s party was celebrated with fireworks erupting on Copacabana beach after the clock struck midnight to usher in the new year. 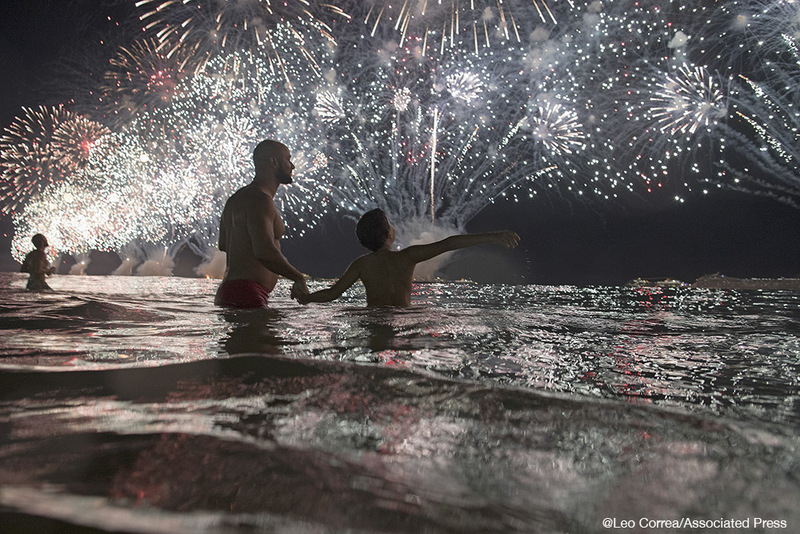 When, around 2 million people, gathered to wish all the good for their lives. 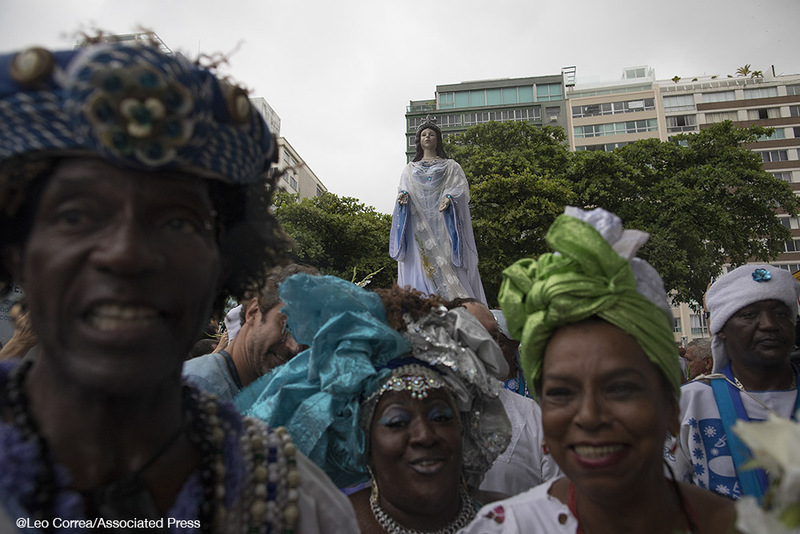 Candomble was brought to Brazil by West African slaves at the beginning of the 19th centuries. 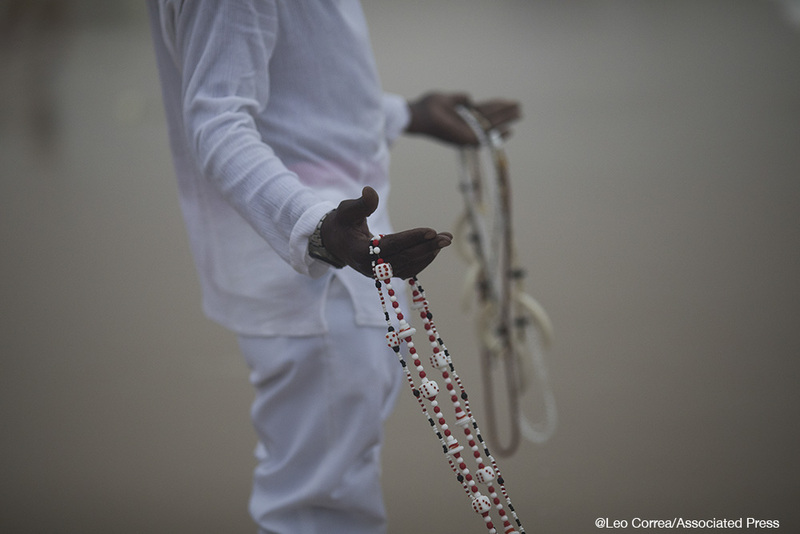 Umbanda is an Afro-Brazilian religion that blends African traditions with Roman Catholicism and indigenous American beliefs. 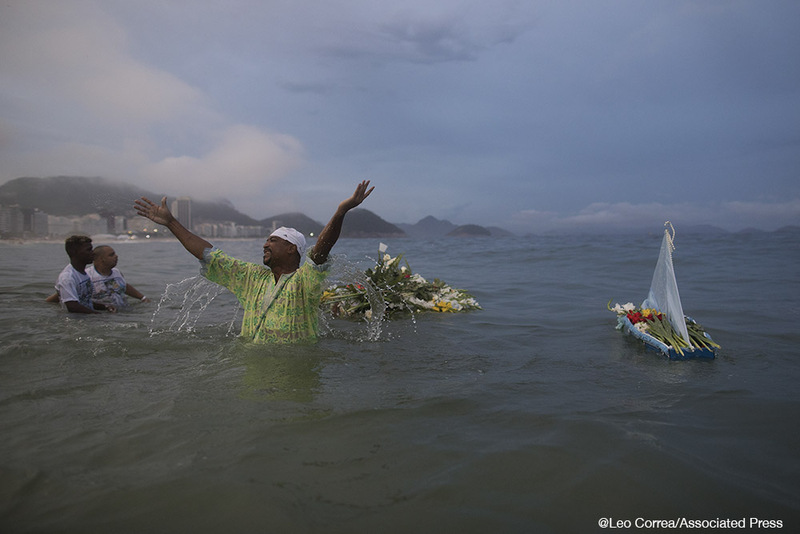 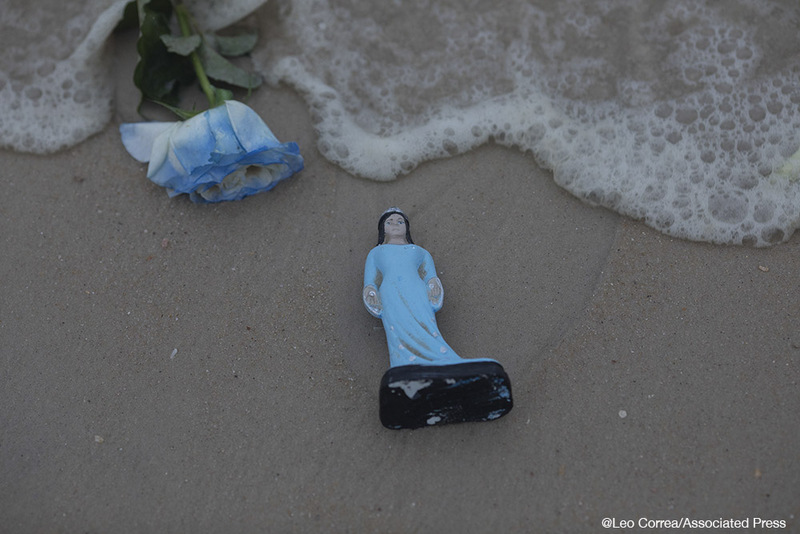 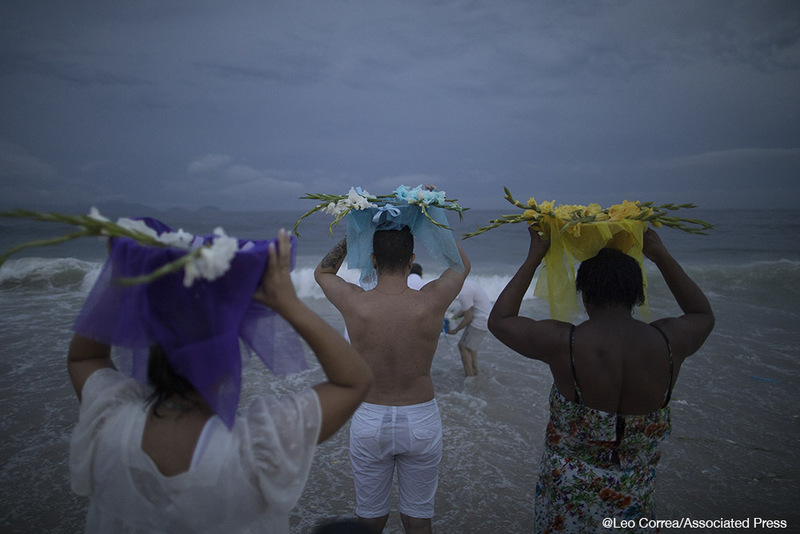 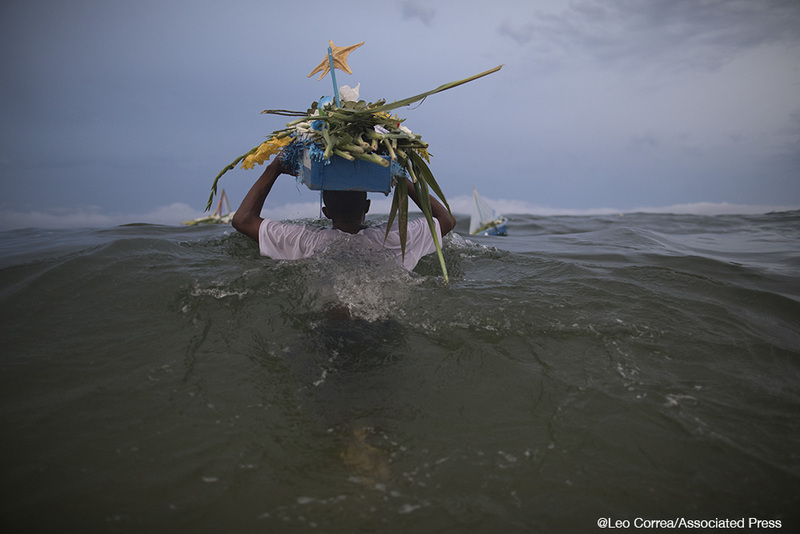 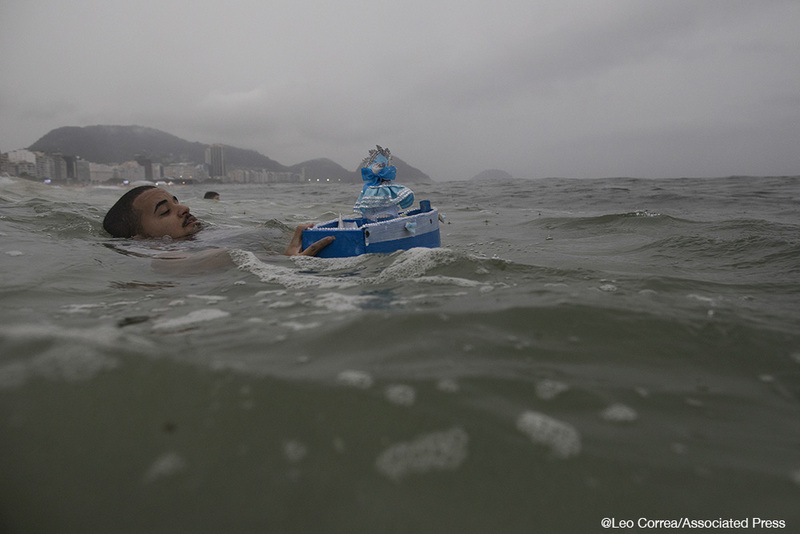 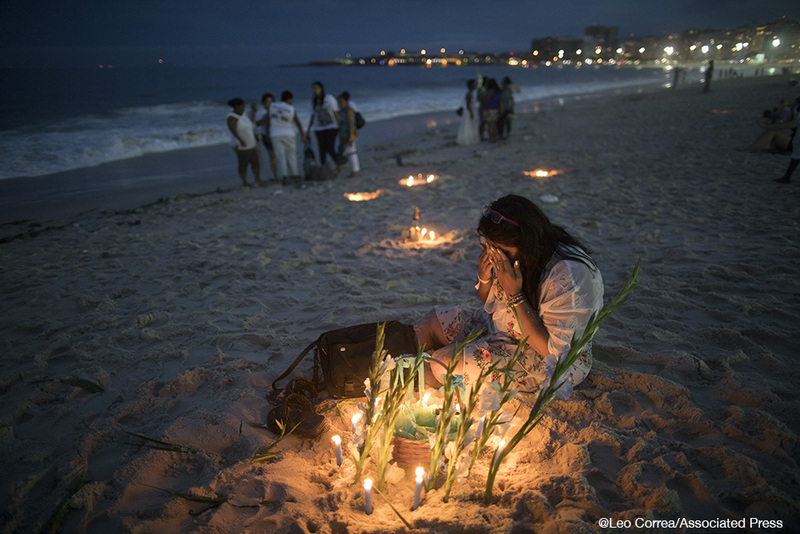 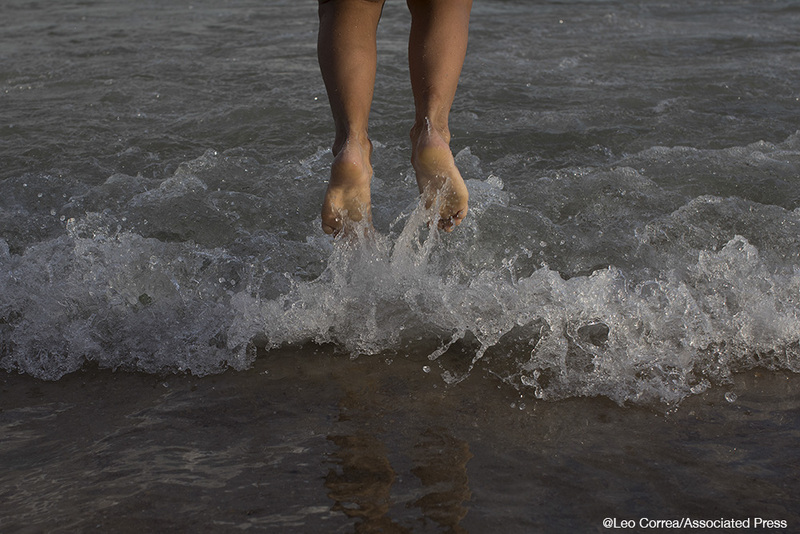 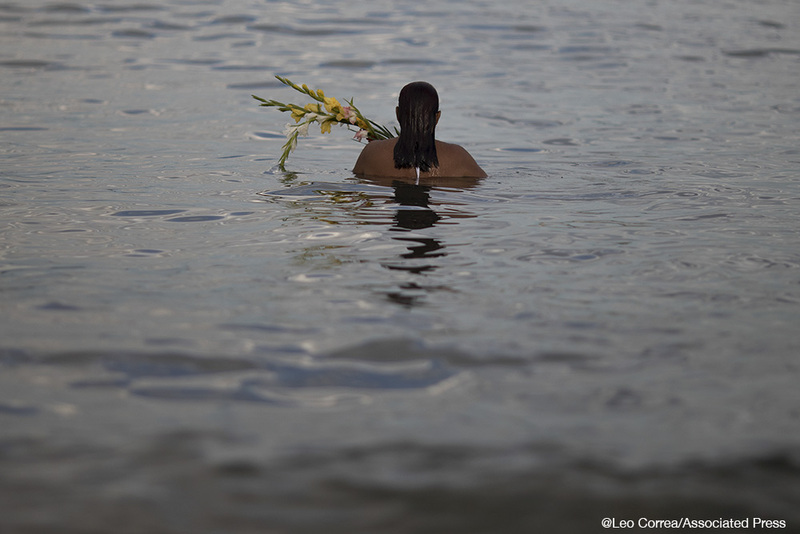 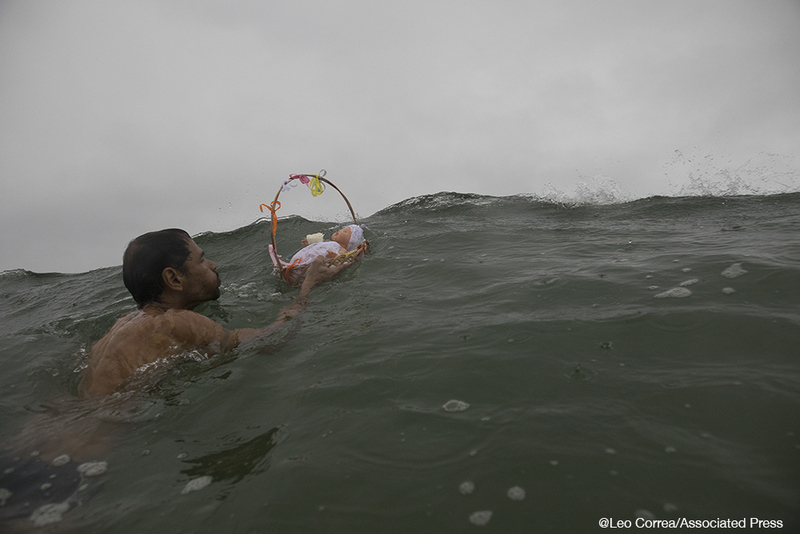 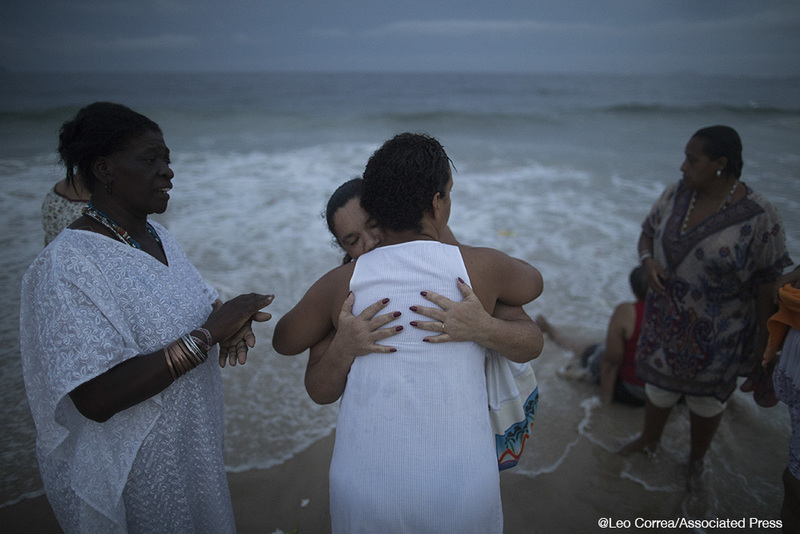 Brazilians honor sea goddess in Rio de Janeiro.